Botox can be used to reduce the look of fine lines and wrinkles. Book your appointment now! Botox is probably best known for treating fine lines and wrinkles. Botox works by blocking signals from the nerves to the muscles. When the muscles can no longer contract, wrinkles and fine lines relax and soften, giving the user a more youthful appearance for a period of time. Depending on the number of areas needing attention and achieving the desired effects, the number of units administered in a session can vary. 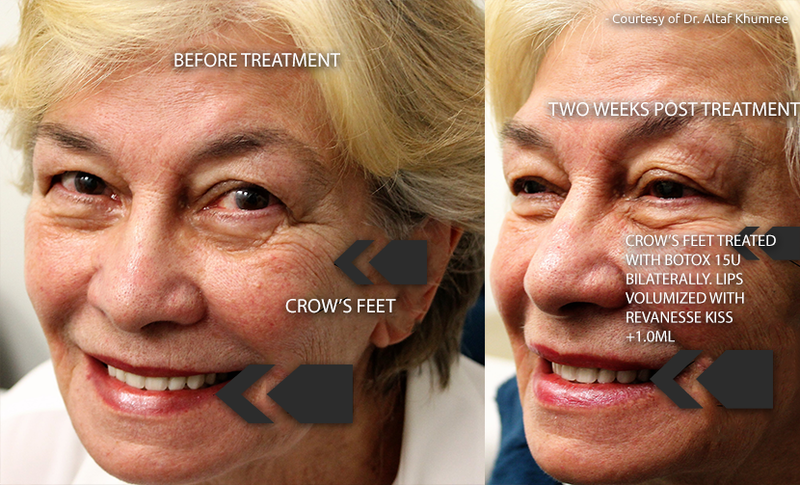 Patients need an average of 20 units for forehead lines, 2-10 units for crow's feet and 25 units for the glabella.